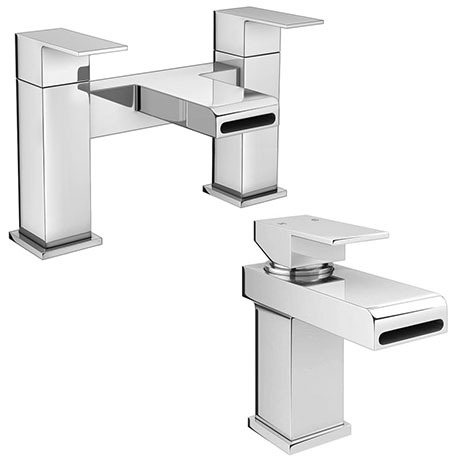 The designer contemporary style Empire tap package produces a beautiful waterfall effect, it's clean lines and minimalist form is complemented by it's sleek lever handles. Suitable for any modern bathroom. Excellent quality and reasonable price only down side is the thread connection to secure to the bath and connect with the water supply is quite short which meant I had to change my pipework to get a tight seal.